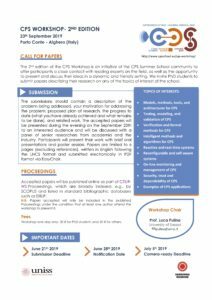 The 2nd edition of the CPS Workshop is an initiative of the CPS Summer School community to offer participants a close contact with leading experts on the field, as well as the opportunity to present and discuss their ideas in a dynamic and friendly setting. We invite PhD students to submit papers describing their research on any of the topics of interest of the school. 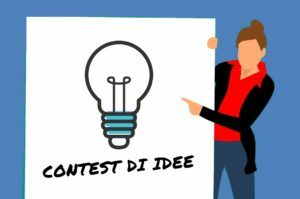 The submissions should contain a description of the problem being addressed, your motivation for addressing the problem, proposed plan of research, the progress to date (what you have already achieved and what remains to be done), and related work. The accepted papers will be presented during the evening on the September 23th to an interested audience and will be discussed with a panel of senior researchers from academia and the industry. Participants will present their work with brief oral presentations and poster session. Papers are limited to 6 pages (excluding references), written in English following the LNCS format and submitted electronically in PDF format via EasyChair. Accepted papers will be published online as part of CEUR- WS Proceedings, which are broadly indexed, e.g., by SCOPUS and listed in standard bibliographic databases such as DBLP. N.B. Papers accepted will only be included in the published Proceedings under the condition that at least one author attend the workshop to present it. Workshop only: 30 € for PhD student, and 50 € for others.